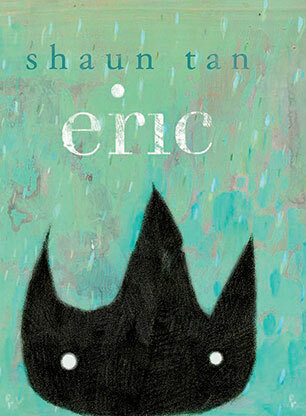 Shaun Tan has been illustrating young adult fiction and picture books since 1996 and is recognised as a leading creator of 'sophisticated picture books'. The Lost Thing published in 2000 was described as "Gary Larson meets Jeffrey Smart" and contrasts the casual 'What I did on my holidays' narrative with bizarre, freakishly surreal scenes. In 2002 The Red Tree won Patricia Wrightson Award, NSW Premier's Literary Awards and was an Honour Book in the 2002 CBCA awards. 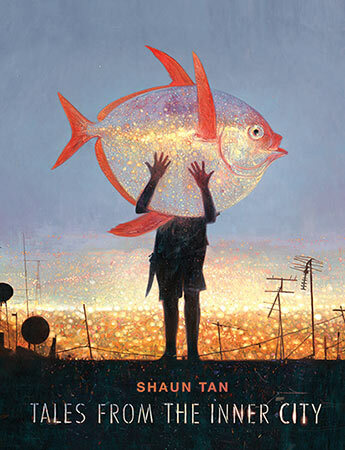 In 2007, Shaun's brilliant wordless book, The Arrival won The NSW Premier's Book of the Year and the Community Relations Commission Award, the 2007 CBCA Picture Book of the Year Award and achieved a Special Mention in the prestigious Bologna Ragazzi Award. Shaun's honours include being named Best Professional Artist at the 2011 Hugo Awards for the second year in a row, International Illustrators of the Future Contest (1992), the Spectrum Gold and Silver Awards, the Aurealis and Ditmar Awards for Australian Science Fiction and Fantasy, and the 2001 World Fantasy Award as Best Artist. 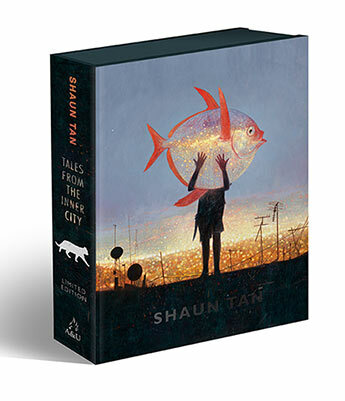 A stunning limited edition gift box featuring a special hardback of Tales from the Inner City and a limited edition print signed by Shaun Tan. 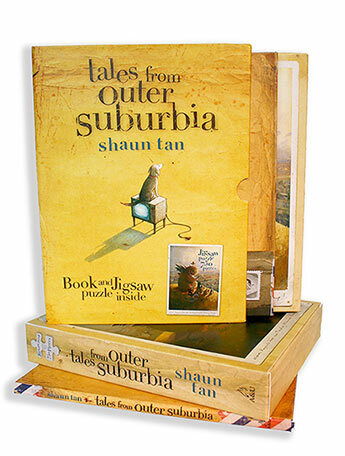 The highly acclaimed, multi award-winning Tales from Outer Suburbia beautifully presented as a book and jigsaw puzzle boxset. 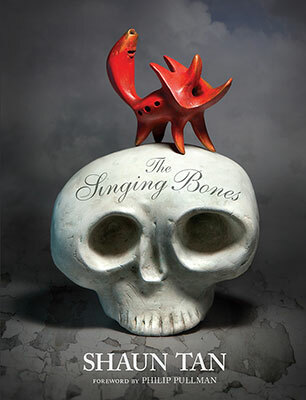 A unique and alluring art book showcasing Shaun Tan's extraordinary sculptures based on the timeless and compelling fairy tales of the Brothers Grimm. Eric is eternally curious and effortlessly charming - a house guest whose approach to the world will capture your heart. 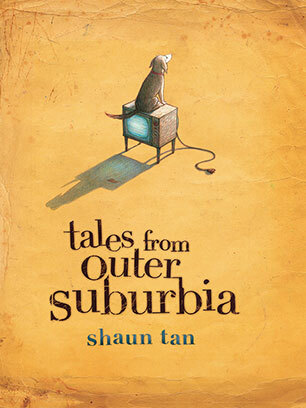 This is a mini gift edition of one of the most loved stories from the multi-award-winning, internationally lauded masterpiece Tales from Outer Suburbia.